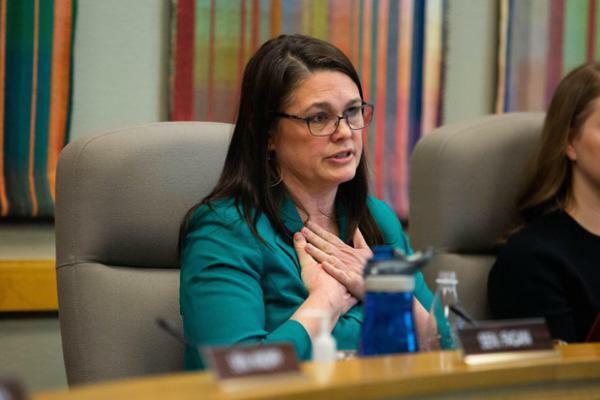 Sen. Sara Gelser, D-Corvallis speaks during a hearing during which Child Welfare officials were questioned over foster kids being sent out-of-state, abuse at the facilities and more. Whitney Rogers, a foster youth, described the treatment she received in the Oregon foster care system. Fariborz Pakseresht, head of the state Department of Human Services. Oregon lawmakers questioned Child Welfare officials in a hearing Thursday. They wanted to know why the number of foster care children being sent out-of-state skyrocketed and how a 9-year-old could be sent to Montana for six months and never be checked on by a caseworker. There are 85 foster care kids from Oregon currently in out-of-state facilities. Sen. Gelser said when she first received the list of the providers housing Oregon’s children, she started googling the names. Stories of licensing violations, arrests, sexual assaults and over use of restraints all started coming up. That raised a lot of red flags, she told the Child Welfare officials. And then Gelser raised the most recent story of a 9-year-old who has been in a facility in Montana since October and no one from the state or any third-party contracted caseworker has been to see her. Because the child’s mother and attorney remain engaged in the child’s life, they discovered she was being injected with Benadryl, an antihistamine, to calm her down. Gelser voiced concerns to Marilyn Jones, the head of Child Welfare, and Fariborz Pakseresht, the head of the state Department of Human Services, that this is just one child who we happen to have details about because her attorney was paying attention. What about all the other kids, the state senator asked, who might not have attorneys who have the capacity to pay attention? But other larger questions were also raised at the hearing, such as why Child Welfare officials never raised concerns about the growing number of children being sent out-of-state. Knopp asked why Child Welfare officials didn’t raise concerns to the Legislature earlier and why there was a need to send so many kids out-of-state. The state is spending about $35,000 a day on the foster care kids out of the state, according to Gelser. “I don’t think there is anybody up here in this Legislature that isn’t incredibly concerned this happened and we didn’t know it was happening,” Knopp said. Oregon Child Welfare officials have said they are working on a plan to bring the children home. They also announced in the legislative hearing that they plan to stop sending children to facilities owned by Acadia Healthcare, an organization facing several accusations of neglect and abuse, although some children still remain there. State senators also asked the Child Welfare officials why the number of kids being sent out-of-state more than doubled since 2017. 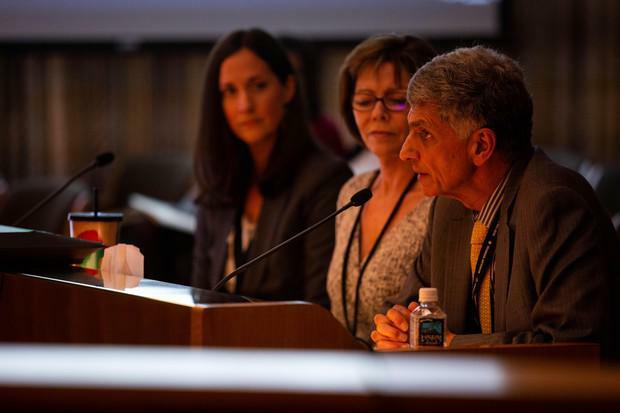 Pakseresht, head of DHS, said part of the issue has been a reduced number of treatment beds available in Oregon. Whitney Rogers, a foster youth, provided powerful testimony at the hearing. She spoke of experiencing excessive use of restraints while in care and what it was like to be put into isolation. 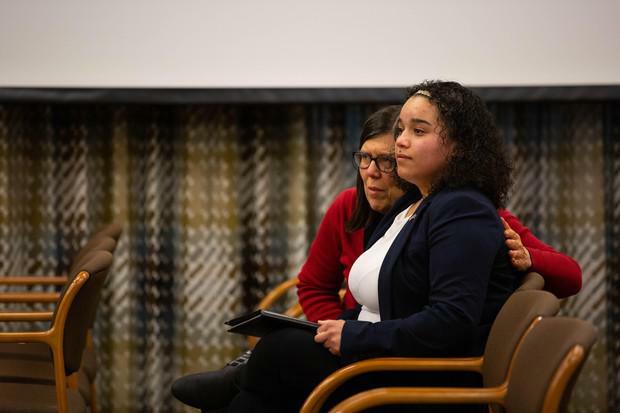 She said she was often afraid to tell her caseworker — who she saw infrequently — of any concerns because when the caseworker left, she would still be in the residential treatment facility. She was not sent out-of-state, but she spoke of being in the system. It’s time for action, she told lawmakers. The system needs strengthening. “I would love to see action for my fellow foster brothers and sisters … I look forward to the action to help save and care for and really love our youth,” she said.